I recently stumbled upon https://accessibilityinsights.io. There's both a Chrome/Edge extension and a Windows app, both designed to make it easier to find and fix accessibility issues in your websites and apps. It builds on top of the Deque Axe core engine with a really fresh UI. The "FastPass" found these issues with my podcast site in seconds - which kind of makes me feel bad, but at least I know what's wrong! I can easily see what elements are interactive and what's totally inaccessible with a keynote! I can also see if the the tab order is inconsistent with the logical order that's communicated visually. After the FastPass and Tab Visualizations, there's an extensive guided assessment that walks you through 22 deeper accessibility areas, each with several sub issues you might run into. As you move through each area, most have Visual Helpers to help you find elements that may have issues. After you're done you and export your results as a self-contained HTML file you can check in and then compare with future test results. It also supports Tab Stop visualization and is a lot like Spy++ - if you remember that classic developer app. There were no Accessibility issues with Calculator - which makes sense since it ships with Windows and a lot of people worked to make it Accessible. Instead I tried to test Notepad2. Here you can see it found two elements that can have keybook focus but have no names. 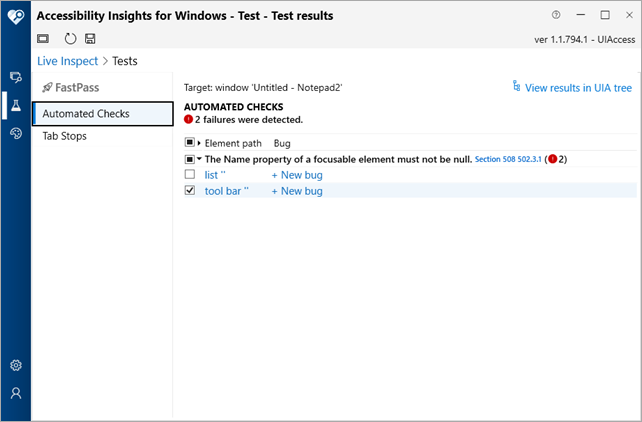 Even cooler, you can click "New Bug" and it will create a new accessibility bug for you in Azure DevOps. 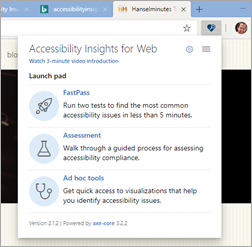 The Windows app is also open source and up at https://github.com/Microsoft/accessibility-insights-windows for you to explore and file issues! There's also excellent developer docs to get you up to speed on the organization of the codebase and how each class and project works. Sponsor: Seq delivers the diagnostics, dashboarding, and alerting capabilities needed by modern development teams - all on your infrastructure. Download at https://datalust.co/seq. I feel like you've just shared a tool I've been looking for for the past 25 years! Oh, the horror of either digging through the code in the background to try to figure out where they put the tab stops, or having to go through and set, in reverse order, every single tab stop to zero. Using notepad to edit VB5 form code. Comment (Some html is allowed: a@href@title, b, blockquote@cite, em, i, li, ol, pre, strike, strong, sub, super, u, ul) where the @ means "attribute." 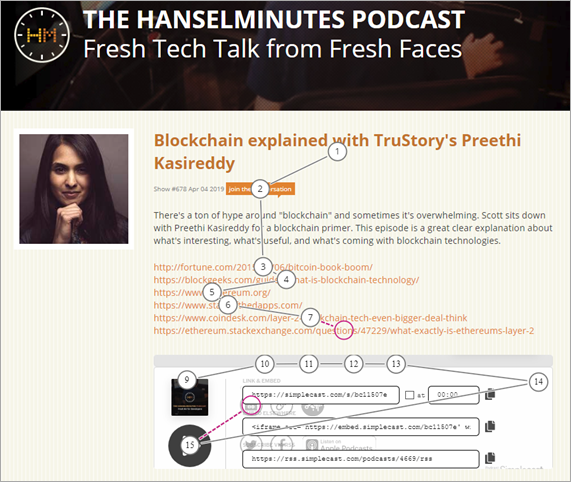 For example, you can use <a href="" title=""> or <blockquote cite="Scott">.